Home / News / College / NEW!!! College Classes Online! 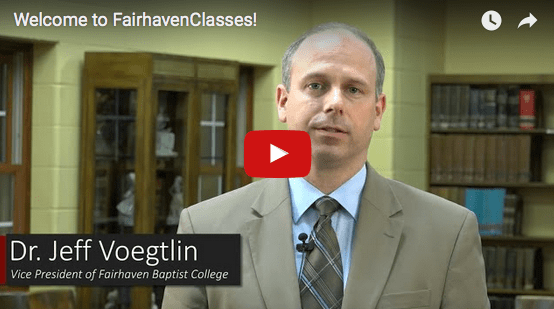 We are excited to announce our new “FairhavenClasses” channel on YouTube! Over the past year, our media team has been working to record over ten live college classes each semester. Ten more are in progress and being uploaded weekly. These classes are free to watch and use in churches, ministries, or for personal use. We want Christians across the world to be able to further their Bible knowledge with conservative Bible-based teaching. These videos are the start of our Online Bible Degree Program which will begin this fall. Videos are free for anyone to watch. The corresponding classes can be taken online with additional projects and correspondence for credit towards an Associates in Bible. We encourage you to subscribe and give feedback on the current classes and videos being offered.